There are around 10 public and private schools offering accounting programs in North Dakota, with degrees ranging from certificates and Associate degrees to undergraduate and postgraduate qualifications. Notably, the undergraduate accounting program at the University of North Dakota was ranked 24th in the small institution category by the Public Accounting Report’s 2013 survey of accounting professors. The North Dakota State University ranks highly as well in terms of CPA exam pass rates. Without standing out in national rankings, North Dakota schools offer some quality educational options to motivated prospective accountants; and while accounting salaries are below average in this state, opportunities abound for enthusiastic graduates to embark on a successful career. A great accounting career starts with a top-quality accounting program. With more and more accounting graduates and a more competitive job market every year, the advantage that a prestigious school can give you is undeniable. You should leave school not just with a degree, but also with a great resume and a phonebook full of business contacts – the right kit for success in your future career. So choose wisely when it comes to your accounting program: make sure it is AACSB-accredited and that the faculty members have excellent credentials. Ask to see the recent statistics for CPA exam pass rates and graduate employment, as well as feedback from previous students. Make sure that the curriculum is comprehensive and that you will have plenty of opportunities to gain experience. A rich on-campus life will allow you to add valuable extra-curricular activities to your resume, while a good careers service will help you secure an internship or your first job as a graduate. Finally, don’t be afraid to challenge yourself: choose the most rigorous program and be prepared to work hard in order to embark on a successful accounting career. In a changing business world, accounting is often the backbone of a company, ensuring good financial management and sound decision-making. The sky is the limit when you venture into this lucrative field – provided that you are ready to invest time and hard work. Accountants usually hold at least a four-year Bachelor’s degree, while Certified Public Accountants (CPAs) often hold an additional Master’s degree. This is because most states require CPA candidates to complete 150 credits before they can sit for the CPA examination or practice as CPAs. 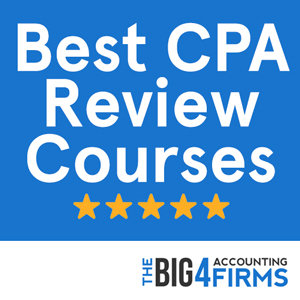 If your goal is to become a CPA, you will need to pass all four sections of the Uniform CPA Examination, as well as complete an ethics examination. Depending on your state’s regulations, you will also have to gain a certain amount of accounting experience under the supervision of a licensed CPA – usually one or two years full-time. It is only once you have fulfilled the education, examination and experience requirements (Three E’s) that you can be granted licensure. If you want to apply for CPA certification in North Dakota, you need to complete 150 semester hours including a Bachelor’s or higher degree from an accredited school. This must include 24 hours in accounting courses and 24 hours in business courses, excluding accounting principles. Candidates are also required to complete a professional ethics course. In order to qualify for licensure, you will also need to pass all four sections of the Uniform CPA Examination within a rolling 18 month period. You will also need one year of accounting experience before you can work as a CPA. With a mean annual salary of $56,320 in 2013, North Dakota is the second lowest paying state in the country for accountants and auditors. But never fear – the variations inherent to this profession mean that successful accountants can still earn well above average. For example, accountants in the West of the state tend to earn higher average salaries over $59,000 per year, compared to $45,000-$55,000 in the East. There is also a significant pay gap between the lowest paid and the highest paid professionals: while the bottom percentile earns less than $34,000 on average, the top percentile of North Dakota accountants earns more than $84,000. With high CPA exam pass rates and a high-quality AACSB-accredited program, the North Dakota State University is a great alternative for students wishing to become accountants or CPAs in North Dakota. U.S. News lists the university as the 190th in the country overall, while Fargo, the town where it is located, was ranked by Forbes as the 5th best college town for jobs. North Dakota State University offers a Major in Accounting leading to a Bachelor of Science degree. The curriculum includes courses in business, finance and economics, as well as intermediate accounting, taxation, auditing, information systems, statistics and mathematics. Postgraduate students and those aiming for CPA certification can pursue the Master of Accountancy program. Taught with a focus on case studies and applied learning, the program covers topics such as advanced accounting, auditing, financial reporting, financial statement analysis, business, management and fraud examination. 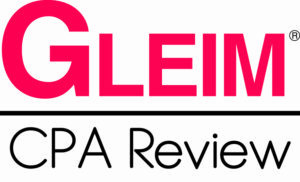 This comprehensive program is well-suited to prepare students for a successful career as well as for the CPA exam. Ranked 173rd in the country by U.S. News, the University of North Dakota offers a comprehensive accounting program for both undergraduate and postgraduate students. The undergraduate program was listed among the best 25 in the country among small institutions by the PAR 2013 survey and features courses in introductory, intermediate and advanced accounting, business law, assurance, taxation, auditing and related fields. The school also offers a Master of Accountancy degree with seminars and courses in financial and managerial accounting, auditing, fraud examination and research topics that equip students with in-depth knowledge and critical analysis skills. Apart from its broad curriculum, the program also offers opportunities for hands-on experience through independent study projects and student organizations such as Beta Gamma Sigma. By pursuing this degree, students can meet the requirements for CPA certification as well as prepare for the CPA exam.